Market Deeping Cricket Club have signed high-class all-rounder Dan Bendon for their 2016 Lincs Premier Division campaign. 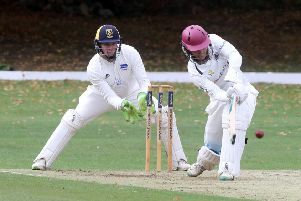 Bendon, a stylish batsman and gifted leg-spin bowler, has played for leading Northants Premier Division outfit Rushton for the last couple of seasons. Deeping skipper David Gillett said: “We’ve been looking for a high calibre all- rounder to replace Tom Andrews and we’ve been aware of Dan’s talent for a while. “He fits the bill perfectly for what we need and we are sure that he’ll have a very positive influence on the field, and in helping to bring our promising crop of youngsters through to the first team. Deeping have also recruited Ash Fisher (Newborough), Pat Harrington (Spalding) and Australian Zac Simmonds, a slow bowler who has played domestic Twenty/20 cricket with internationals Andrew MacDonald and Cameron White. Nassington CC have signed Austrlian all-rounder Adam McDermott as their overseas player for this summer.